Tessa Pattillo began dancing at the age of 3, and has been in love with the arts ever since. She trained locally for 16 years as a competitive dancer in various disciplines; including jazz, musical theatre and hip hop taught by Miss Jennifer Johns-Main! Throughout her training, she completed her Cecchetti Classical Ballet Advanced Level I certification, and is currently working toward her Advanced Level II designation. She has also been the recipient of several awards and scholarships from various competitions and galas. 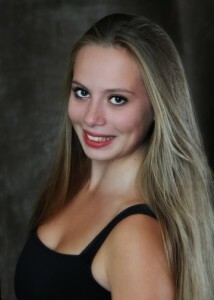 Tessa continued dancing upon attending Queen’s University for engineering, and was employed by the Queen’s Dance Club for 3 years as a ballet instructor. In her final year of university, Tessa became Co-President of the 600 member club, and oversaw the facilitation of 30 different dance classes as well as the production of 2 dance recitals. Tessa is beyond excited to share her love and passion for dance with her students this season, and cannot wait to get started!